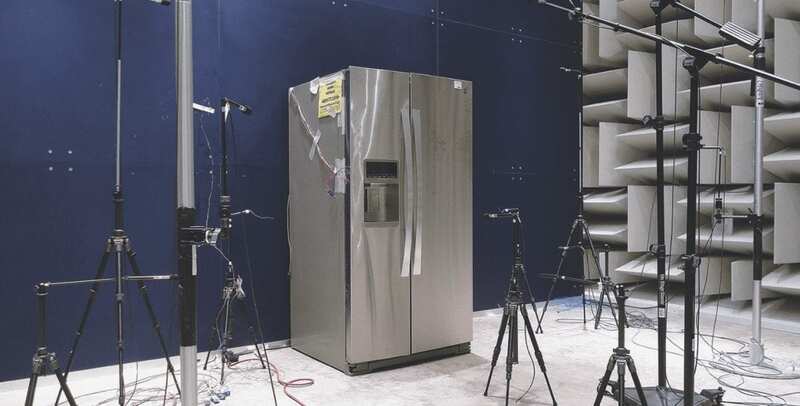 CAMBRIDGE, MA — It’s a classic joke from the days of prank calls: Is your refrigerator running? Yes. Well, you better go catch it. Click. In reality, everyone wants their refrigerator — like all of their home appliances — to be running, and to do so smoothly and quietly. That’s why sound and vibration testing is key to Whirlpool Corporation’s product development.